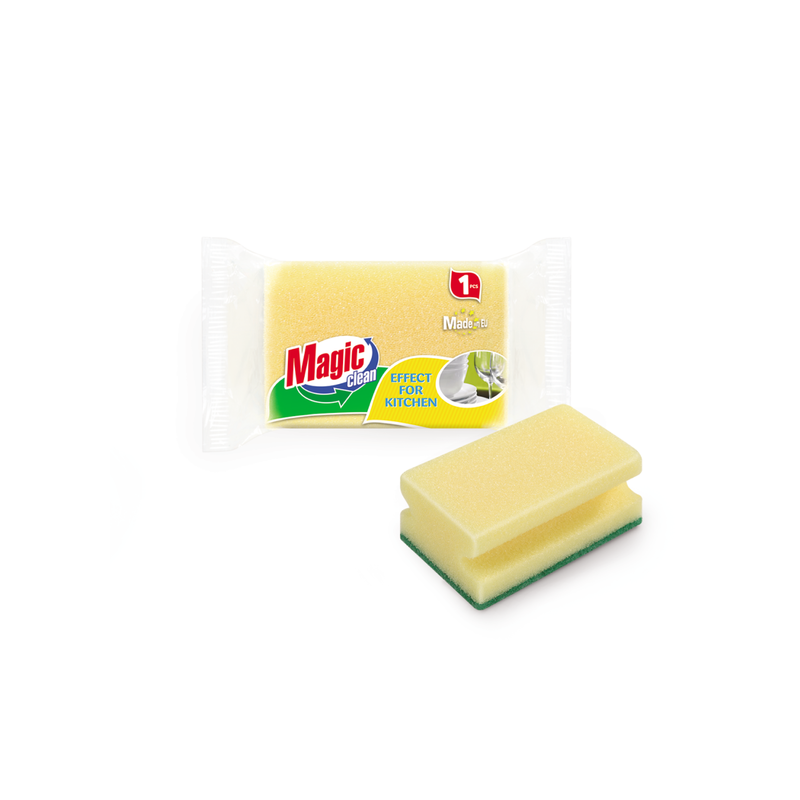 PREMIUM Kitchen sponge for bathroom cleaning from a material with high density, which ensures maximum foaming of the preparation. 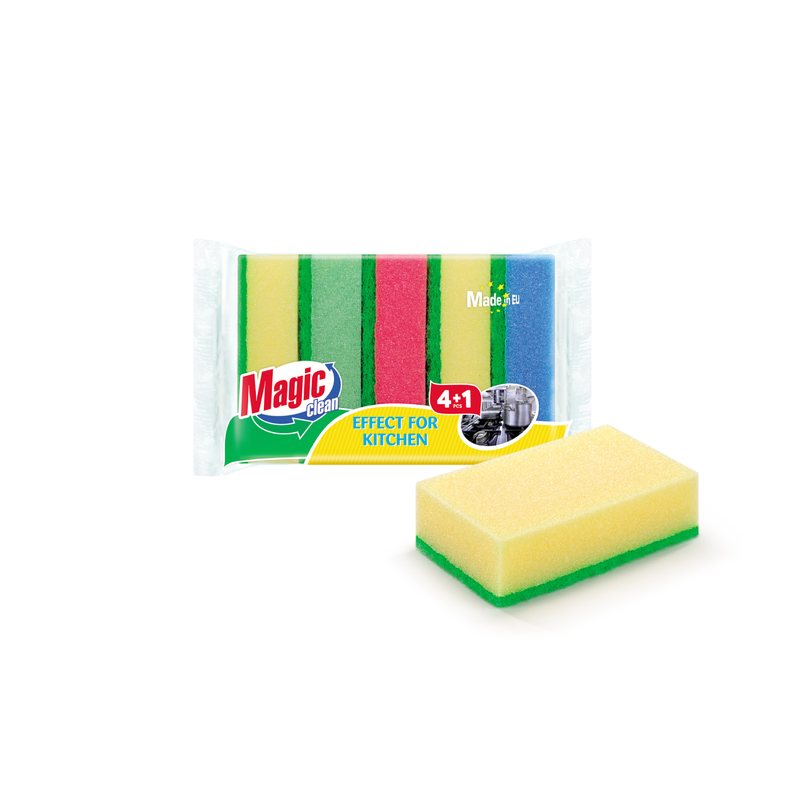 Soft and handy – ideal for all cleaning surfaces in the bathroom. Special fiber that cleans effectively without scratching surfaces. 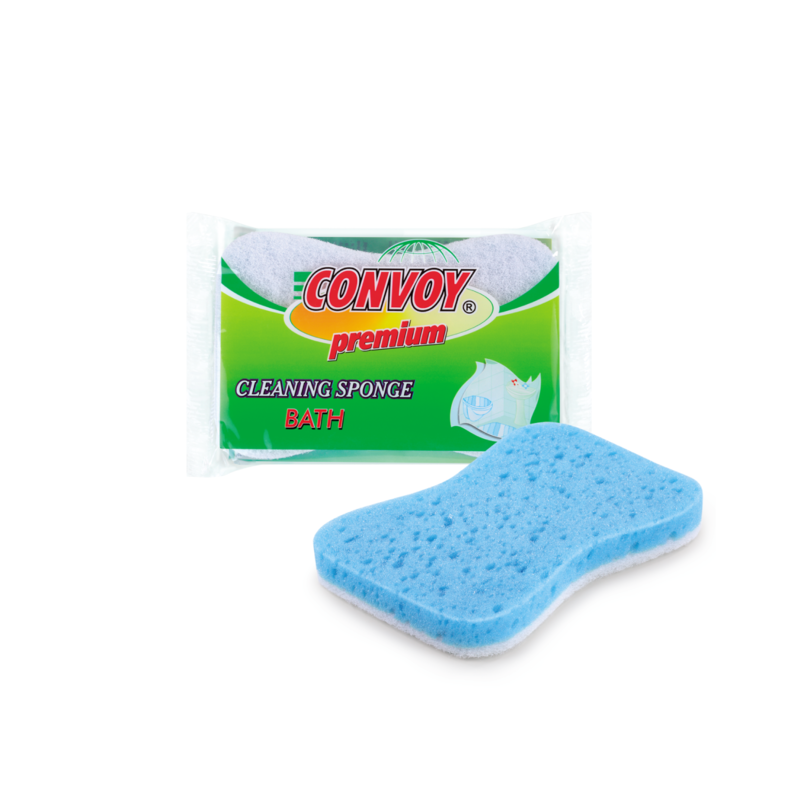 ENJOY bath sponge with wavy surface – high absorbent and soft. Pleasant to the touch. Creates a rich foam. Helps maintain fresh and radiant appearance of the skin. Rinse and squeeze out after each use. 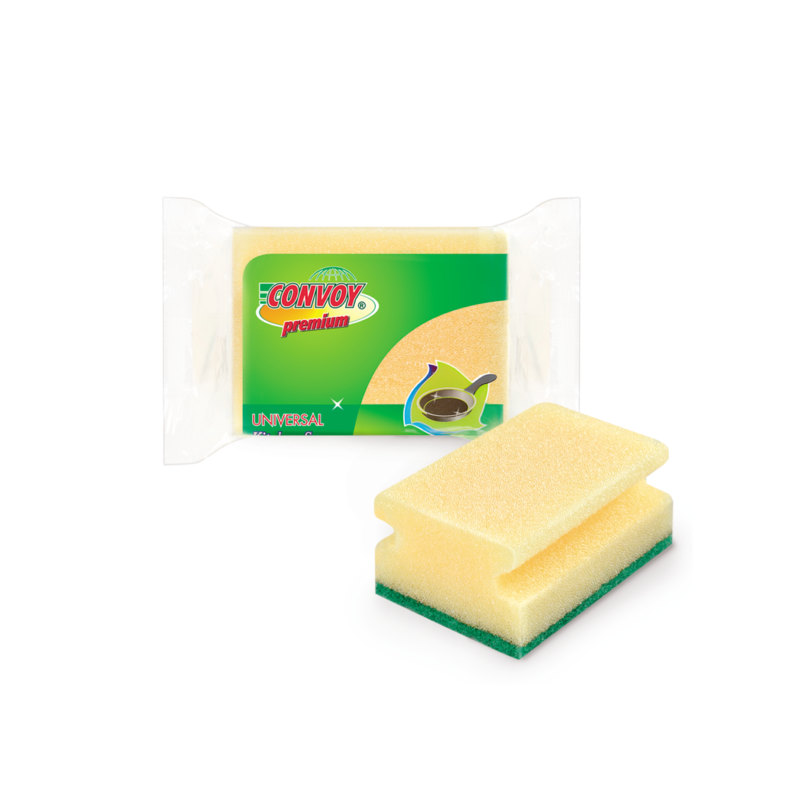 PREMIUM Eco-cellulose kitchen sponge FUNNY. Suitable for everyday cleaning of pots, frying pans, enameled vessels, etc. Extremely durable. PREMIUM Eco-cellulose kitchen sponge OVAL with high quality abrasive. Suitable for cleaning heavily soiled surfaces. Extremely durable. 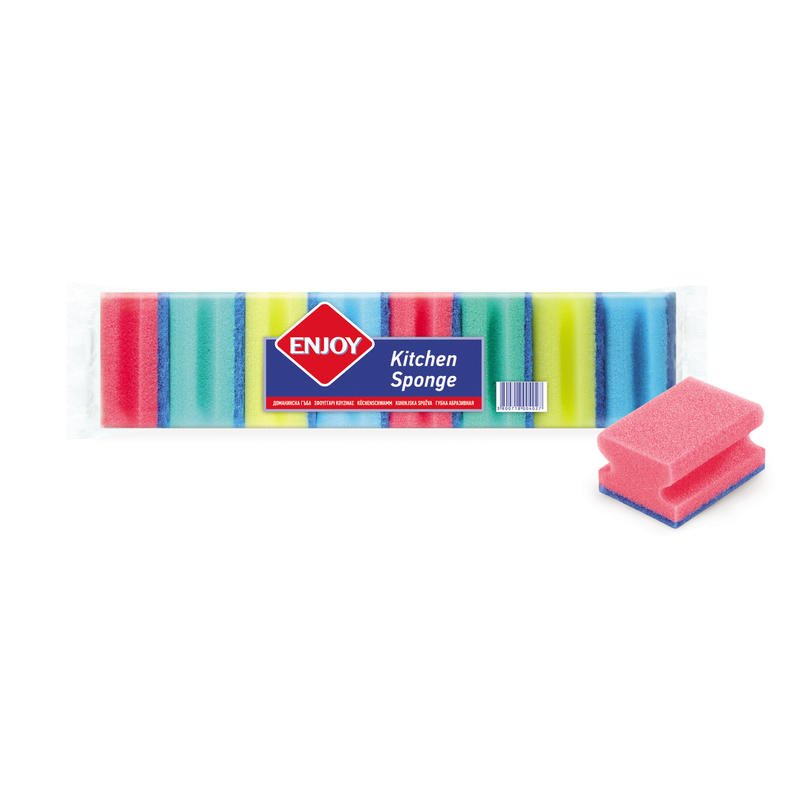 Colored kitchen sponges from a material with high density, which ensures maximum foaming of the preparation. Delicate soft part for washing, coated with abrasive for removal of dirt. Suitable for everyday cleaning of household utensils and surfaces. 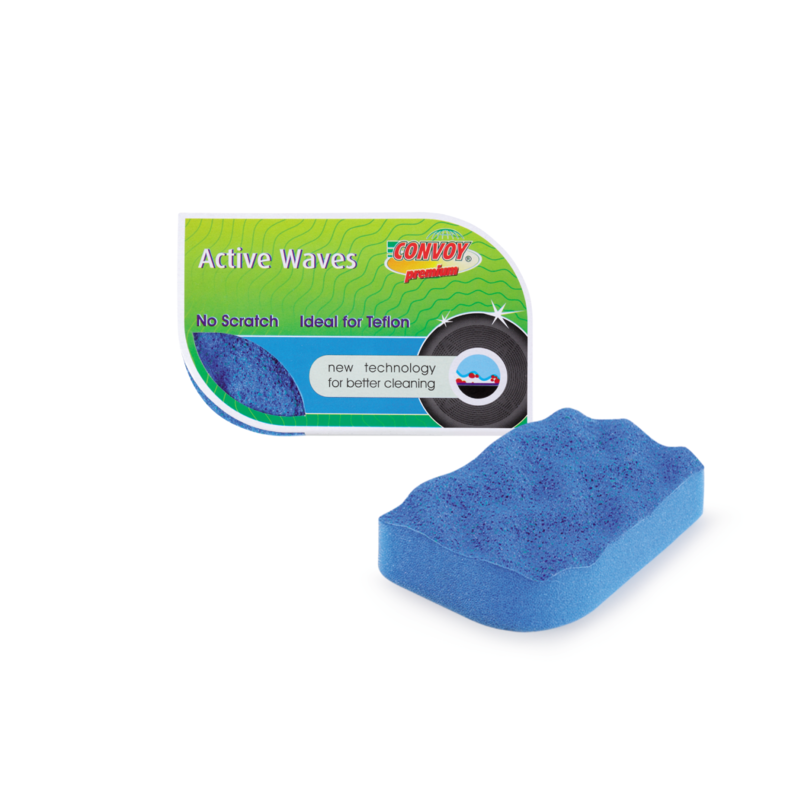 PREMIUM Kitchen sponge ACTIVE WAVE from a material with high density, which ensures maximum foaming of the preparation. Suitable for gentle and delicate cleaning. The wavy surface cleans in depth and at the same time protects from scratches. Suitable for vessels with teflon non-stick coating. 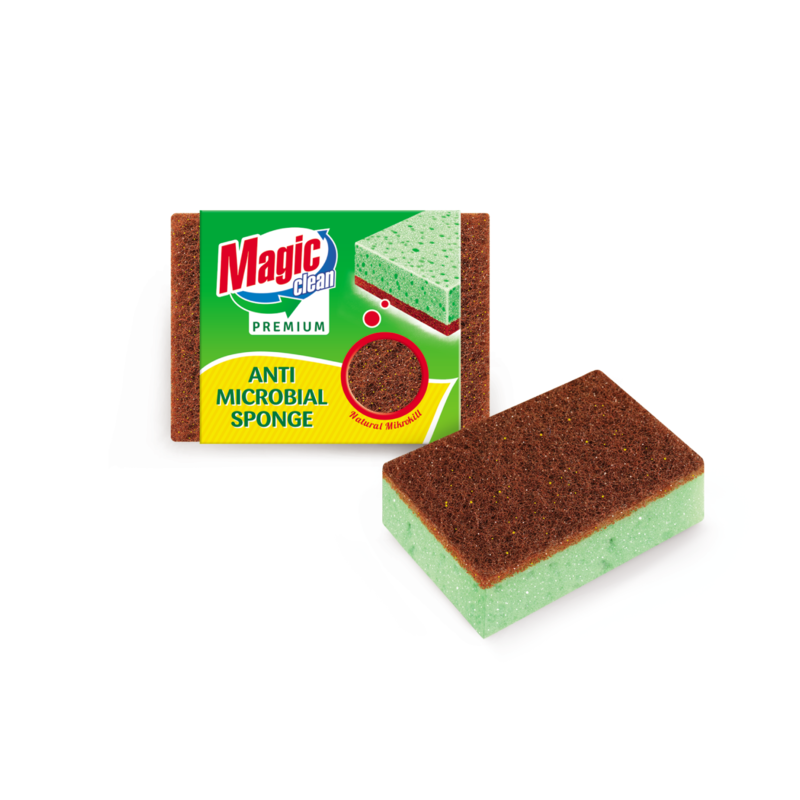 PREMIUM Kitchen sponge made of innovative fibre with natural antimicrobial action containing microparticles of copper that, acting as a natural antibacterial, creates an effective barrier against germs and viruses proliferation, without adding synthetic chemical substances. Extremely durable. 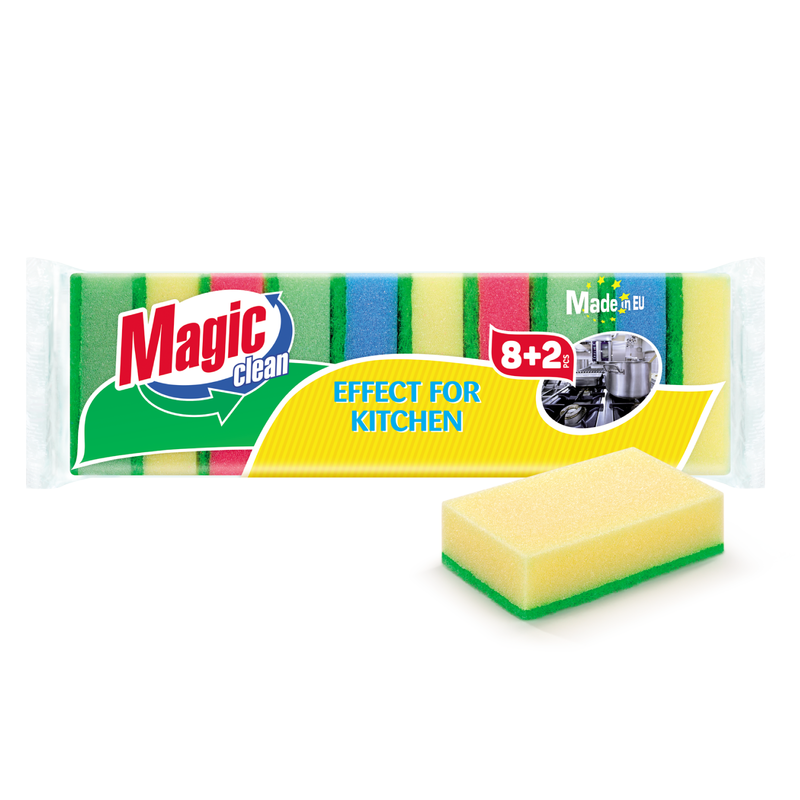 PREMIUM Kitchen sponges extra scourer from a material with high density, which ensures maximum foaming of the preparation. Delicate soft part for washing, coated with high quality abrasive for removal of dirt. Suitable for everyday cleaning anywhere in the home of heavily soiled surfaces, insensitive to scratches. Extremely durable. PREMIUM Kitchen sponge for grill surfaces from a material with high density, which ensures maximum foaming of the preparation. 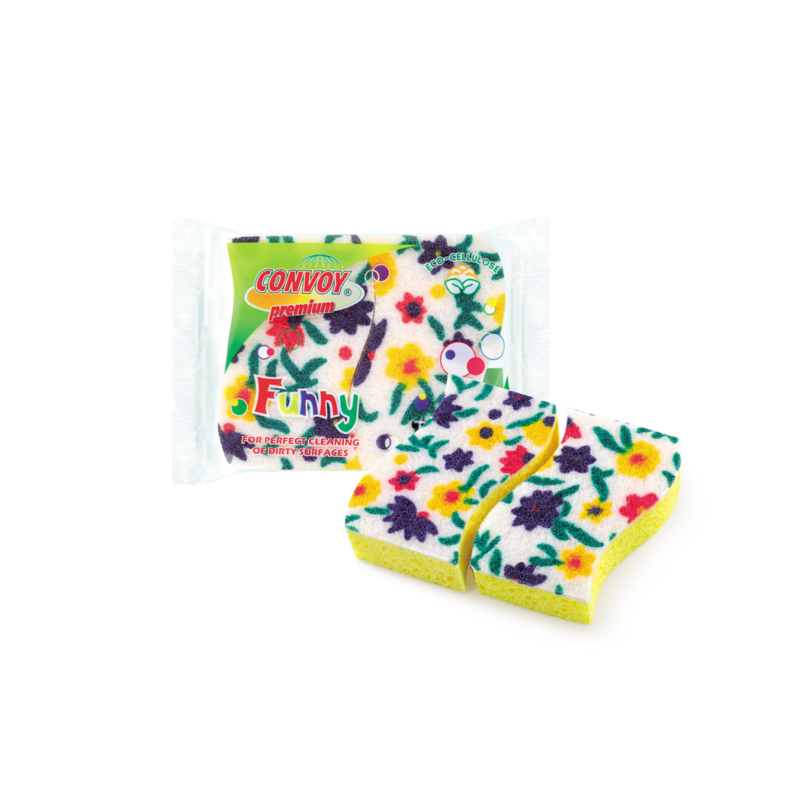 Delicate soft part for washing, coated with powerful abrasive for removal of stubborn dirt. 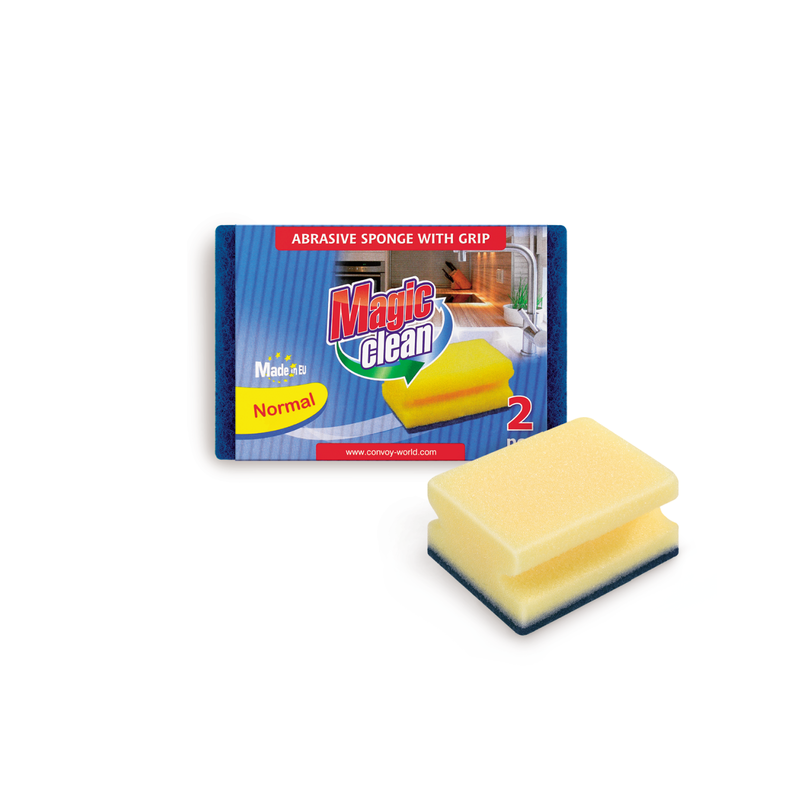 Suitable for cleaning grills, barbecues, ovens and other heavily soiled surfaces. Extremely durable. 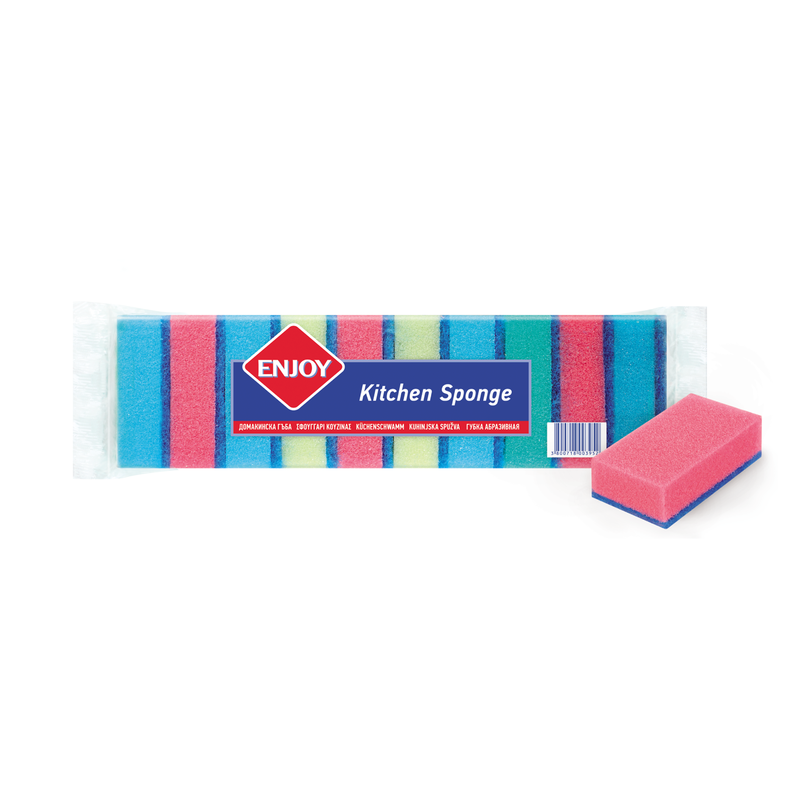 KITCHEN SPONGE WITH GRIP 1 PCS. 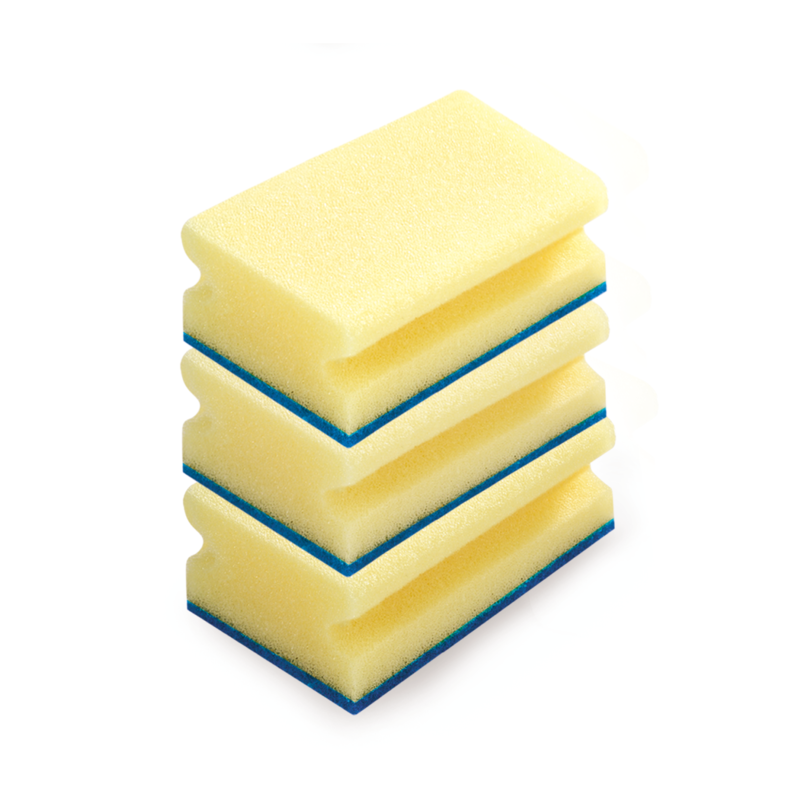 Kitchen sponge with grip from a material with high density, which ensures maximum foaming of the preparation. Delicate soft part for washing, coated with abrasive for removal of dirt. Suitable for everyday cleaning of household utensils and surfaces. Ergonomic grip for comfortable handling. 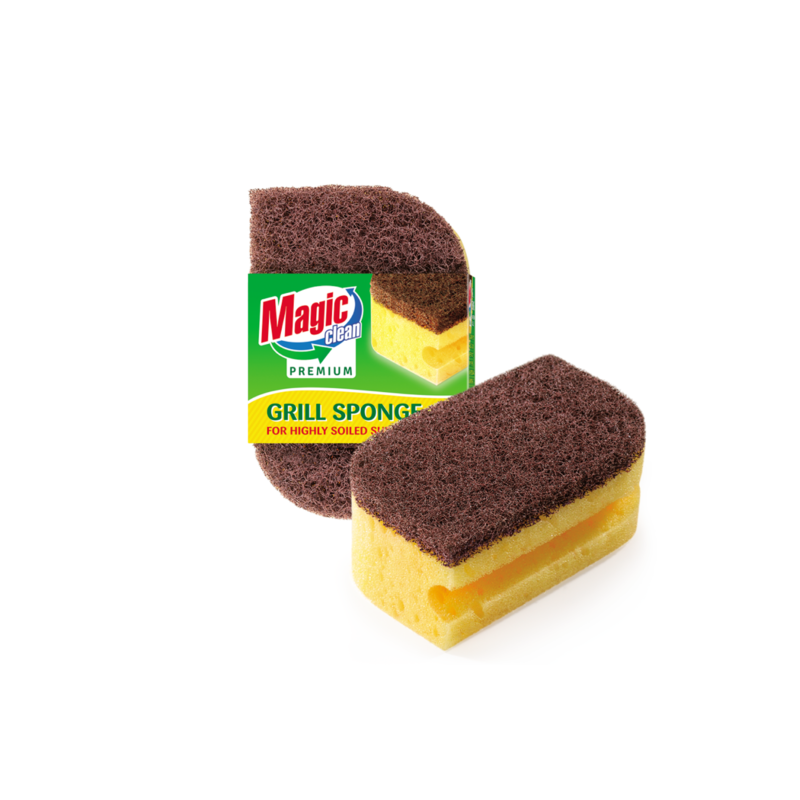 KITCHEN SPONGE WITH GRIP 2 PCS. 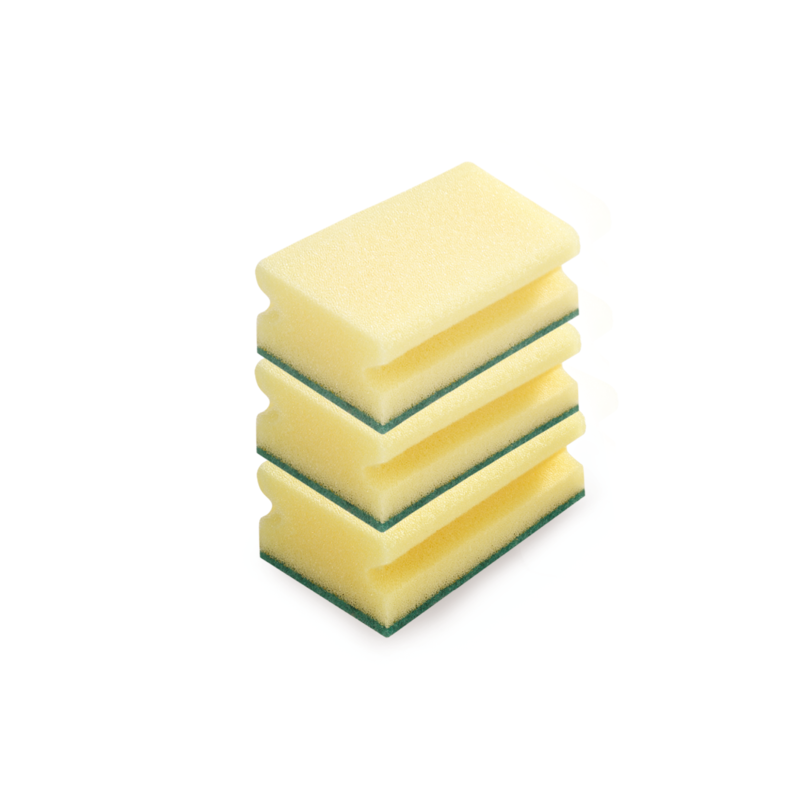 Kitchen sponges with grip from a material with high density, which ensures maximum foaming of the preparation. Delicate soft part for washing, coated with abrasive for removal of dirt. Suitable for everyday cleaning of household utensils and surfaces. Ergonomic grip for comfortable handling. 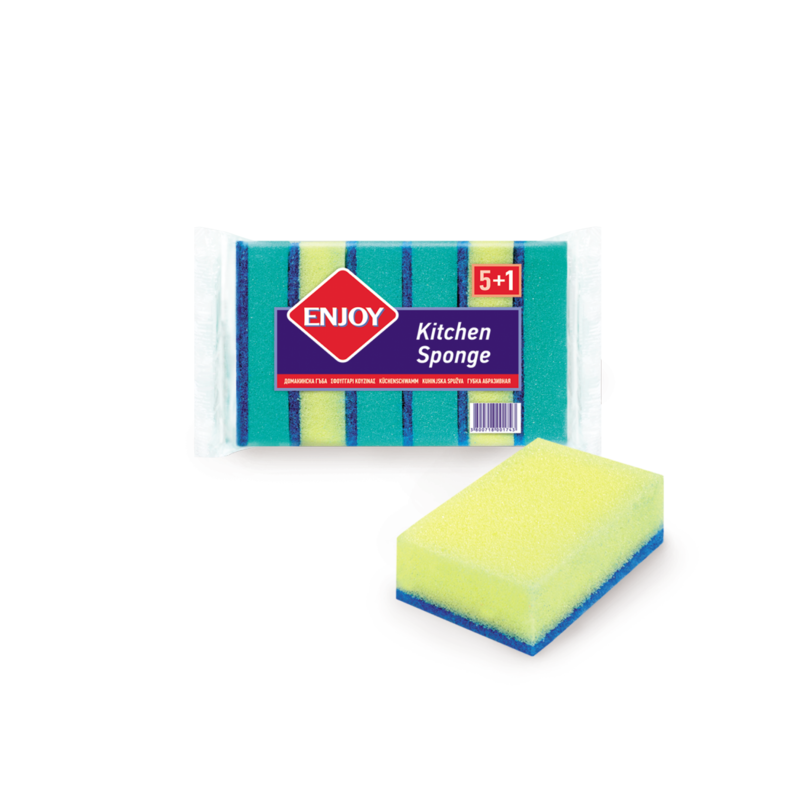 KITCHEN SPONGE WITH GRIP 5 PCS. 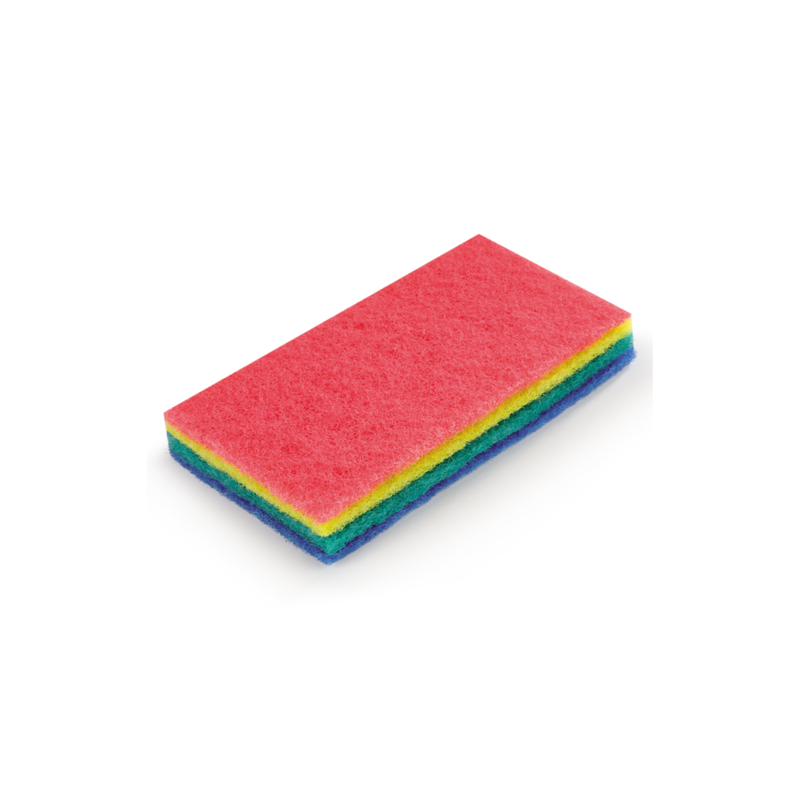 Colored kitchen sponges with grip from a material with high density, which ensures maximum foaming of the preparation. Delicate soft part for washing, coated with abrasive for removal of dirt. Suitable for everyday cleaning of household utensils and surfaces. Ergonomic grip for comfortable handling. 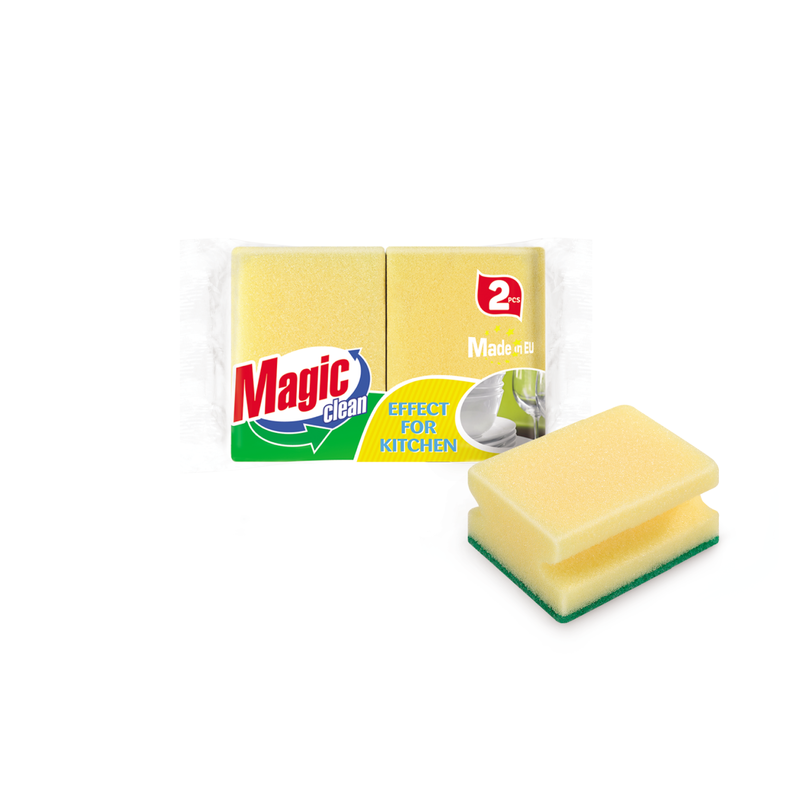 KITCHEN SPONGE WITH GRIP MAGIC 2 PCS. 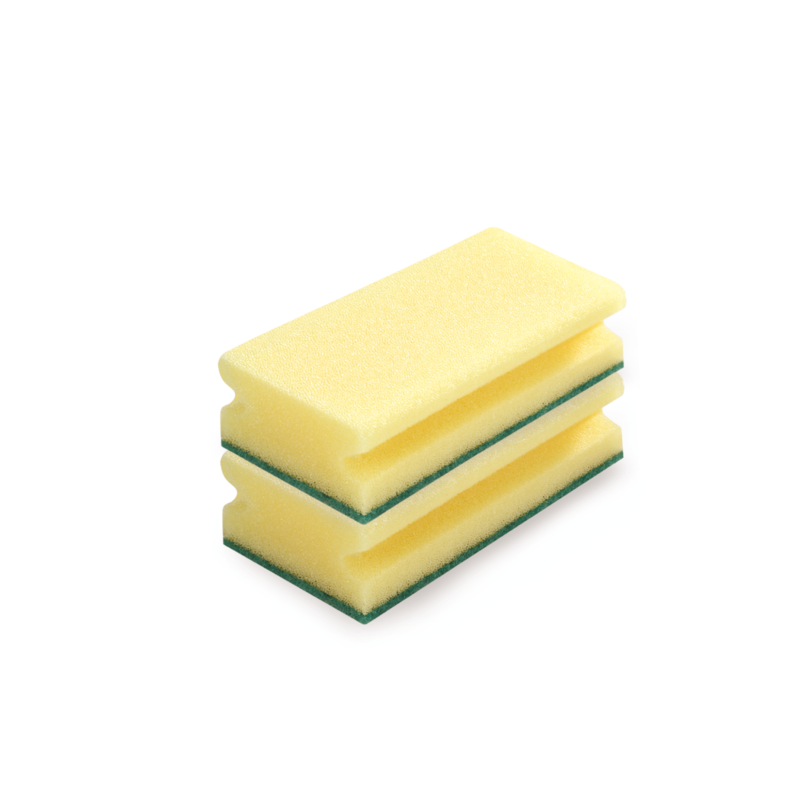 Kitchen sponges with grip from a material with high density, which ensures maximum foaming of the preparation. Delicate soft part for washing, coated with a special abrasive for removal of dirt. Suitable for everyday cleaning of household utensils and surfaces. Ergonomic grip for comfortable handling. 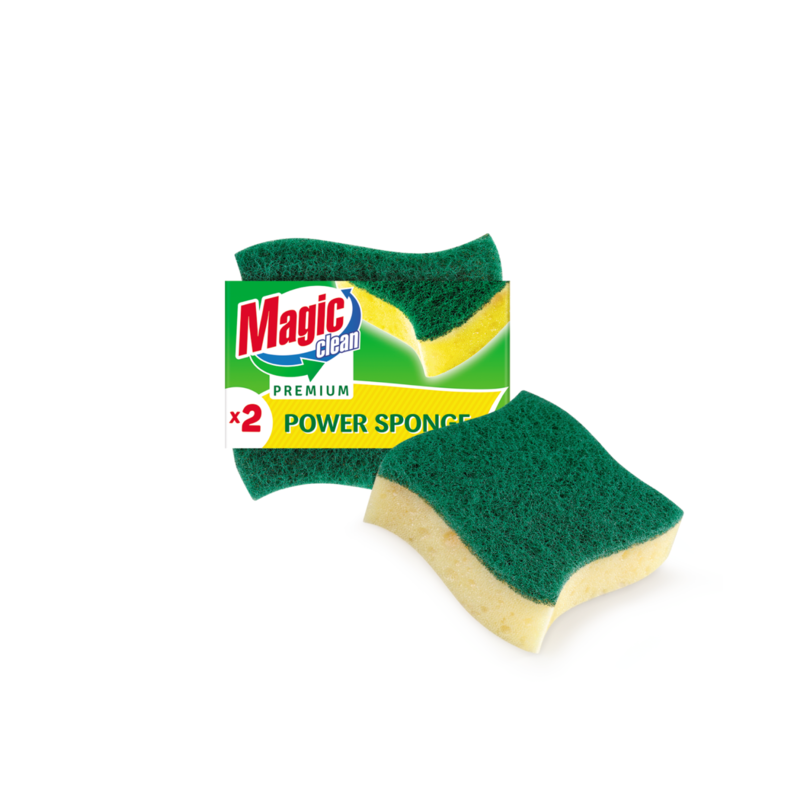 KITCHEN SPONGE WITH GRIP MAGIC 3 PCS. 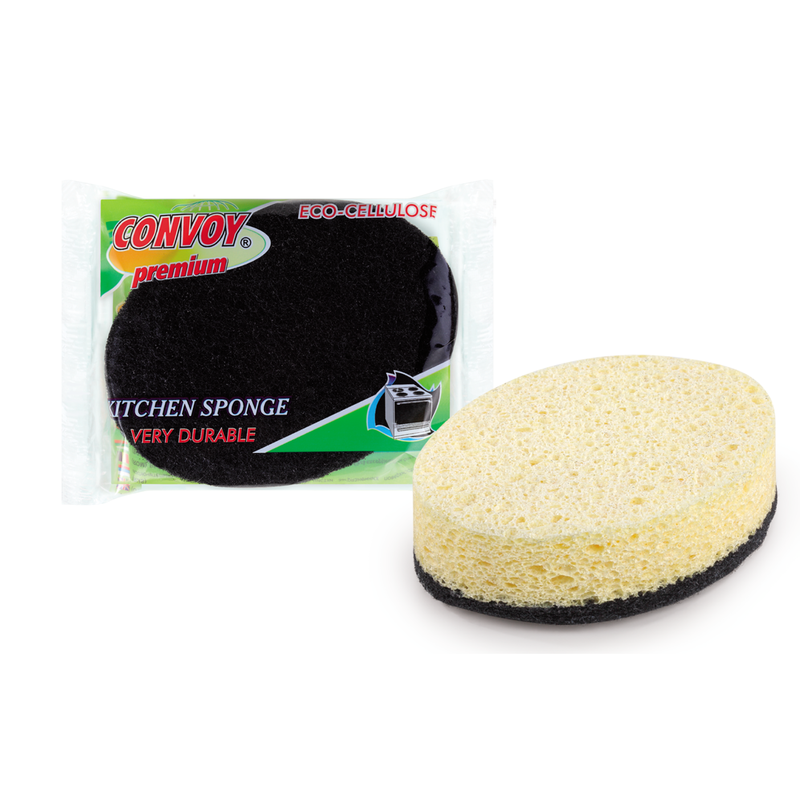 Kitchen sponge with grip in which the traditional abrasive fiber is replaced with polyester mesh. Polyester fibers hold effective cleaning power of metal wires and at the same time does not scratch the surfaces. 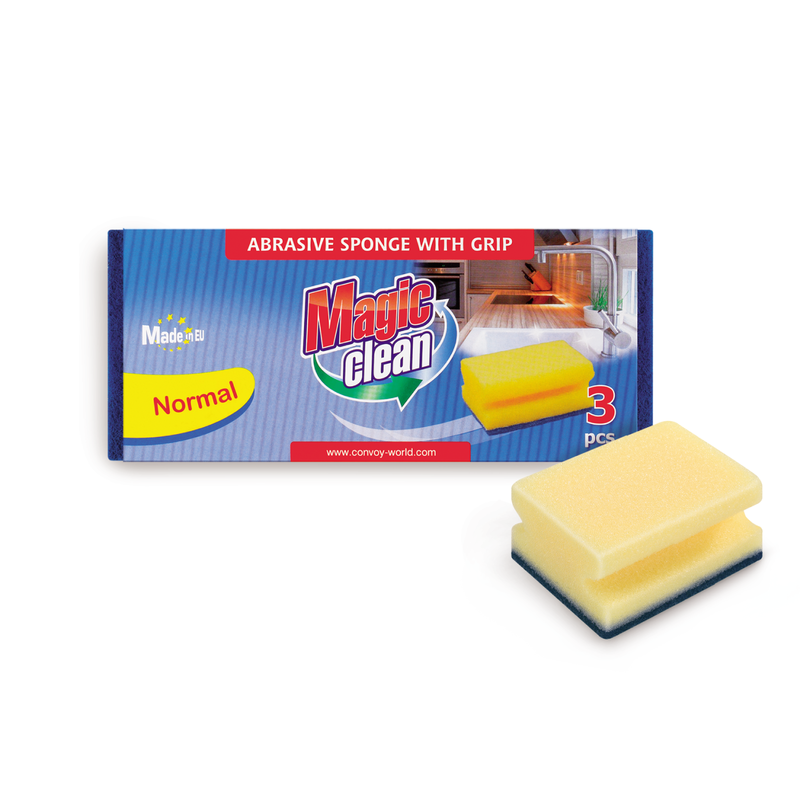 That sponge may clean stubborn dirt, grease, dried and burnt food. The soft polyurethane foam provides good absorption and maximum foaming of the preparation. Polyester mesh does not retain dirt and facilitates easier rinsing and drying the sponge. It is suitable for washing and cleaning of inox, teflon and ceramic. 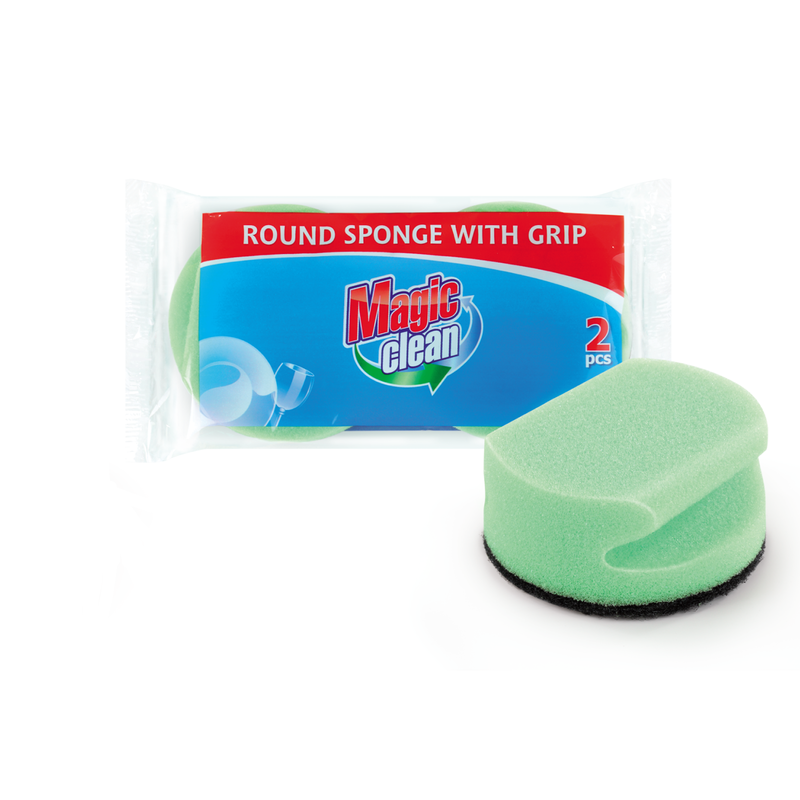 ROUND SPONGE WITH GRIP 2 PCS. Round kitchen sponges with grip from a material with high density, which ensures maximum foaming of the preparation. Delicate soft part for washing, coated with abrasive for removal of dirt. Suitable for everyday cleaning of household utensils and surfaces. Ergonomic grip for comfortable handling. ROUND SPONGE WITH GRIP BLACK 2 PCS. 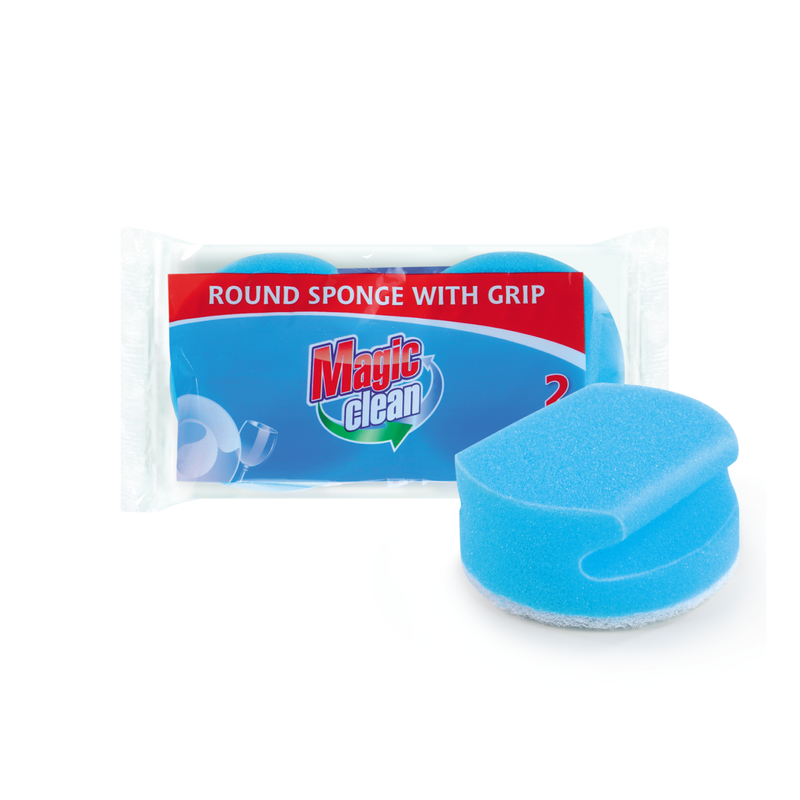 Round kitchen sponges with grip from a material with high density, which ensures maximum foaming of the preparation. Delicate soft part for washing, coated with abrasive for removal of dirt. Suitable for heavy dirt cleaning. Ergonomic grip for comfortable handling. 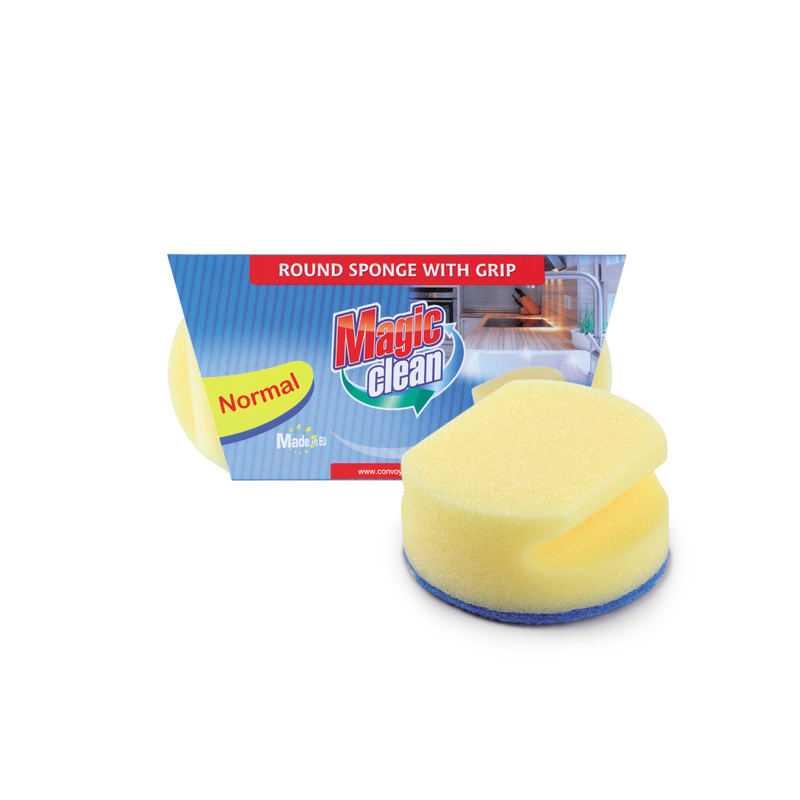 ROUND SPONGE WITH GRIP INOX 2 PCS. Round kitchen sponges with grip from a material with high density, which ensures maximum foaming of the preparation. Delicate soft part for washing, coated with abrasive for removal of dirt. Suitable for everyday cleaning of inox household utensils and surfaces. Ergonomic grip for comfortable handling. ROUND SPONGE WITH GRIP TEFLON 2 PCS. 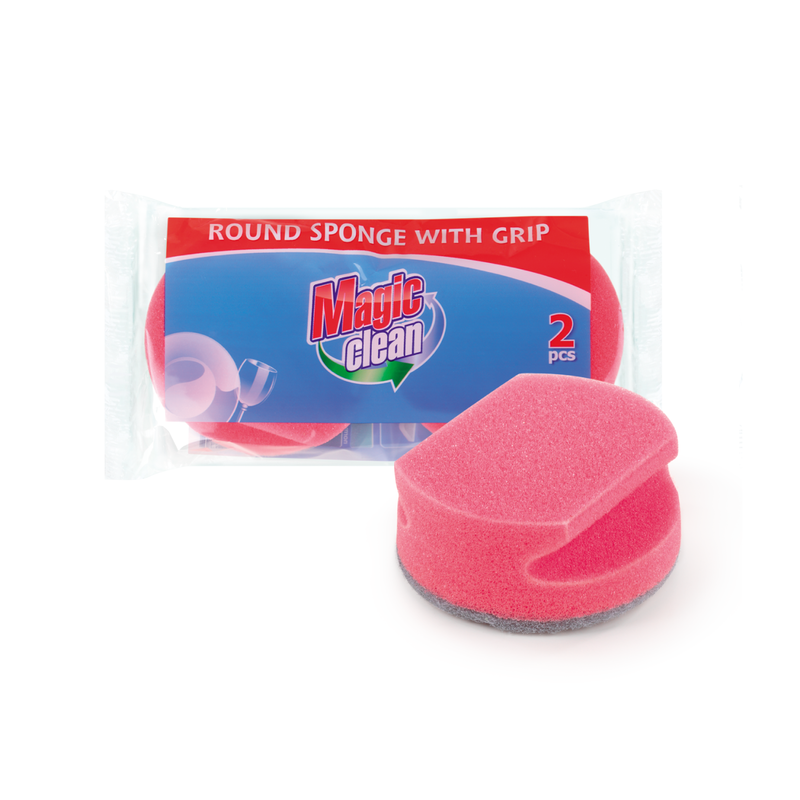 Round kitchen sponges with grip from a material with high density, which ensures maximum foaming of the preparation. Delicate soft part for washing, coated with abrasive for removal of dirt. Suitable for everyday cleaning of household utensils made from teflon and other scratch-sensitive coatings. Ergonomic grip for comfortable handling. 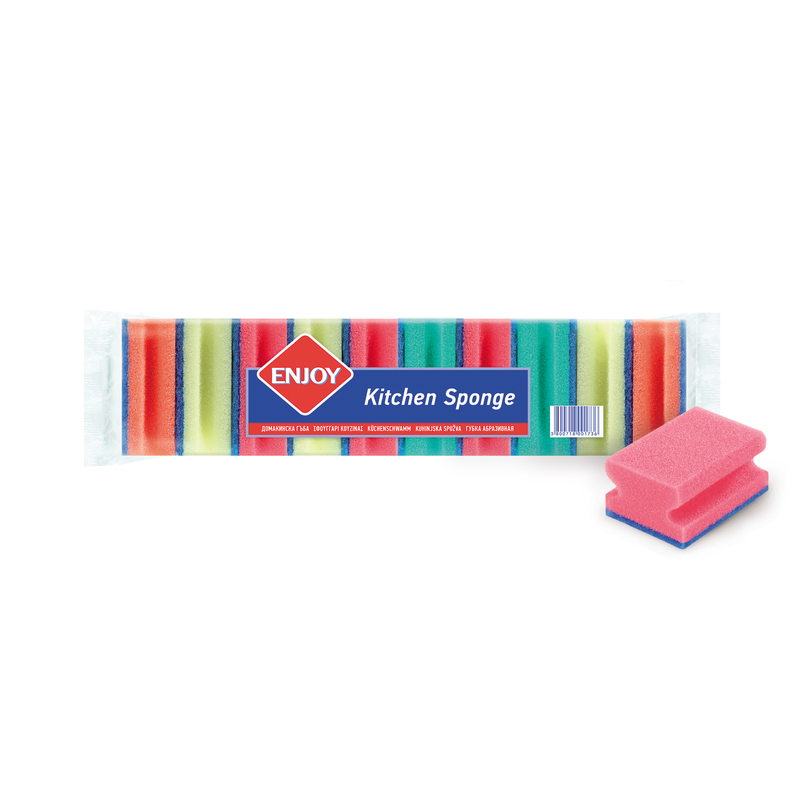 ENJOY Coloured kitchen sponges suitable for everyday cleaning of household utensils and surfaces. 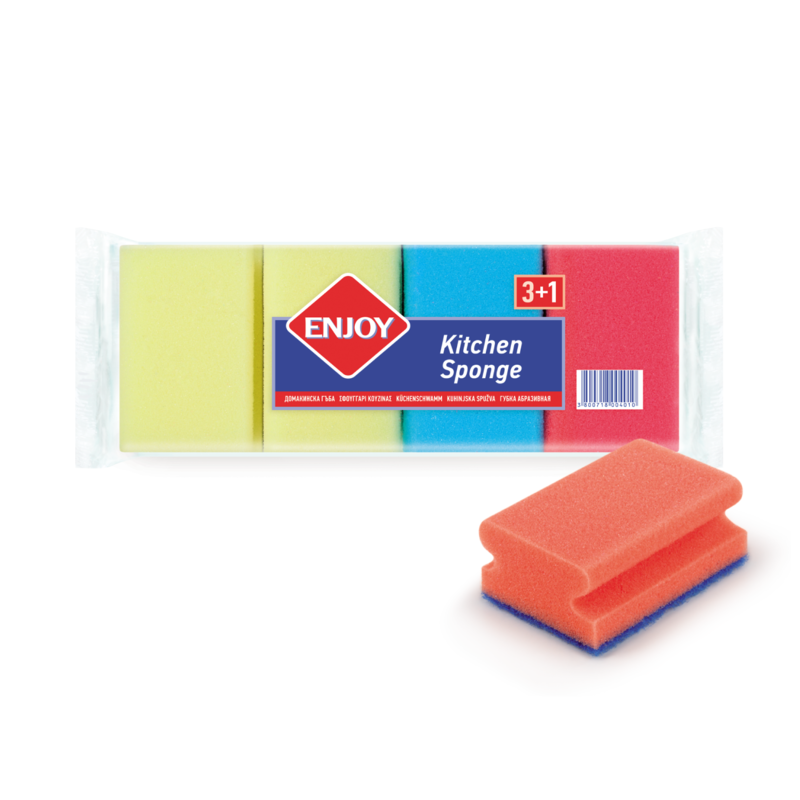 ENJOY Coloured kitchen sponge with grip suitable for everyday cleaning of household utensils and surfaces. Ergonomic grip for comfortable handling. 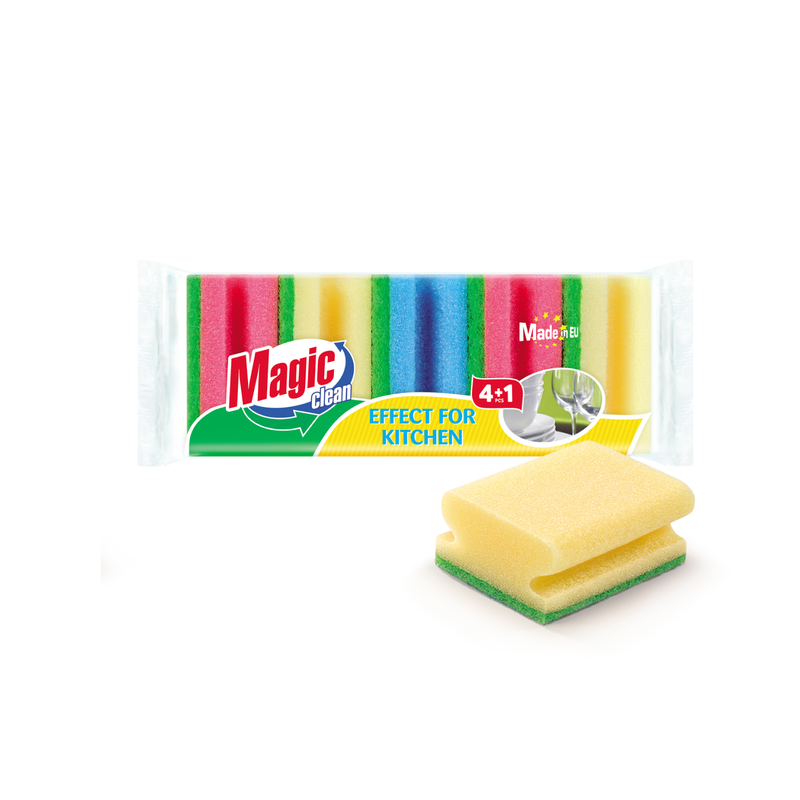 SPONGE WITH GRIP 10 PCS. 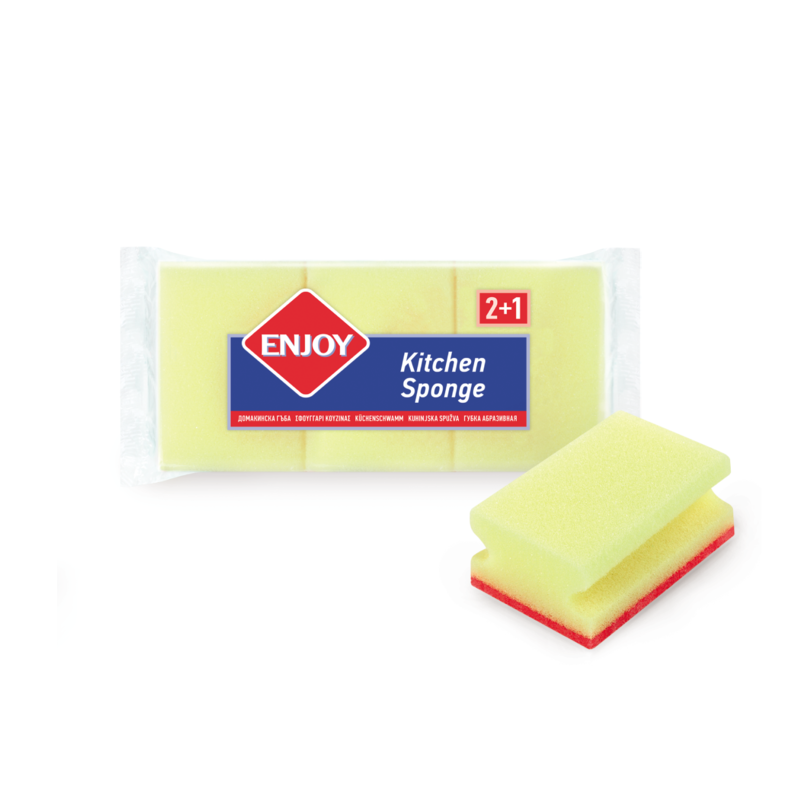 ENJOY Kitchen sponges with grip suitable for everyday cleaning of household utensils and surfaces. Ergonomic grip for comfortable handling. 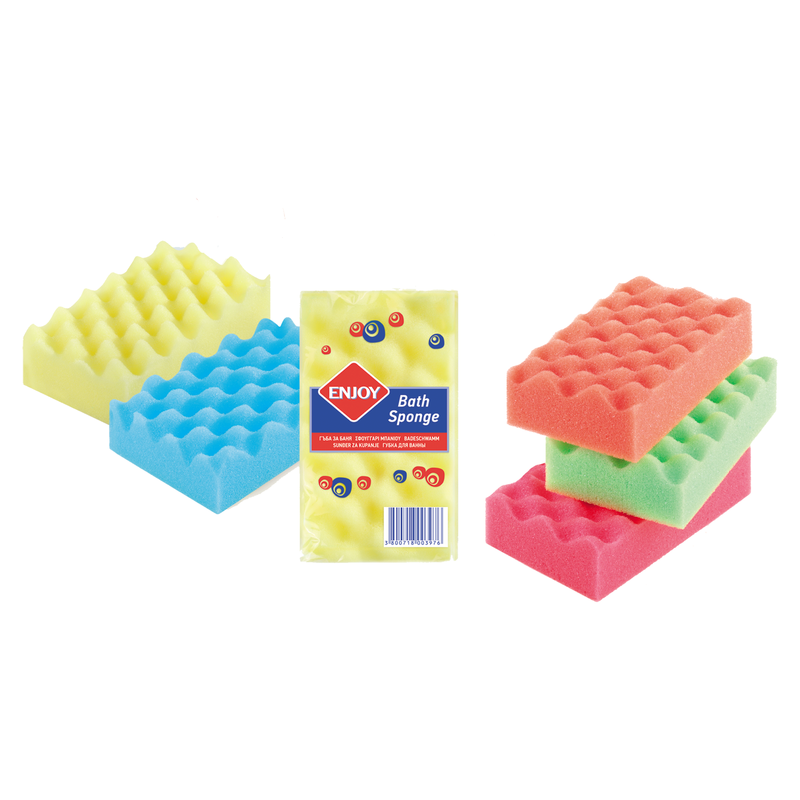 SPONGE WITH GRIP 8 PCS. 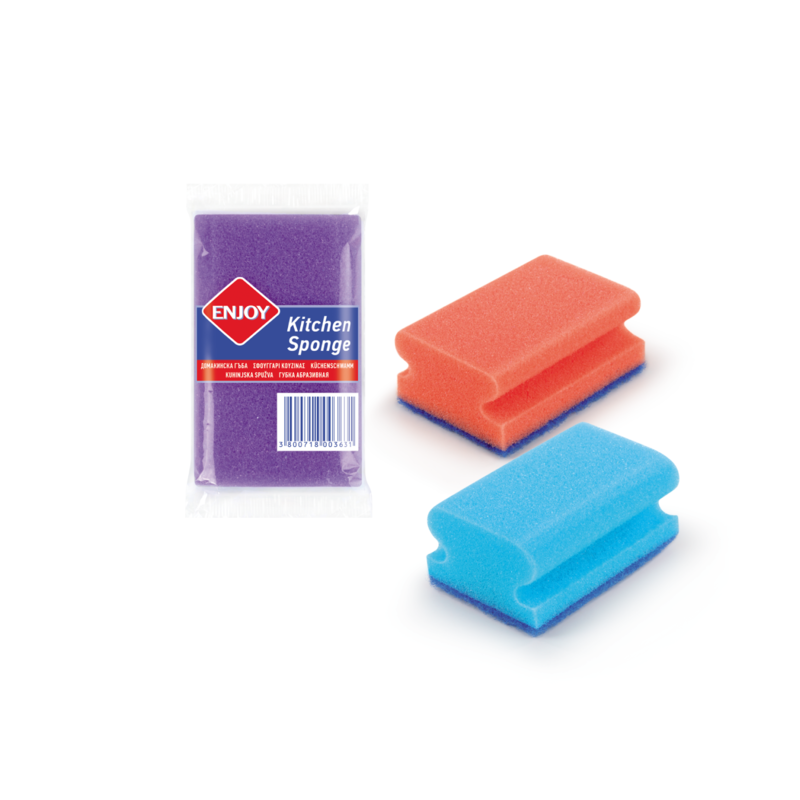 ENJOY Coloured kitchen sponges with grip suitable for everyday cleaning of household utensils and surfaces. Ergonomic grip for comfortable handling. 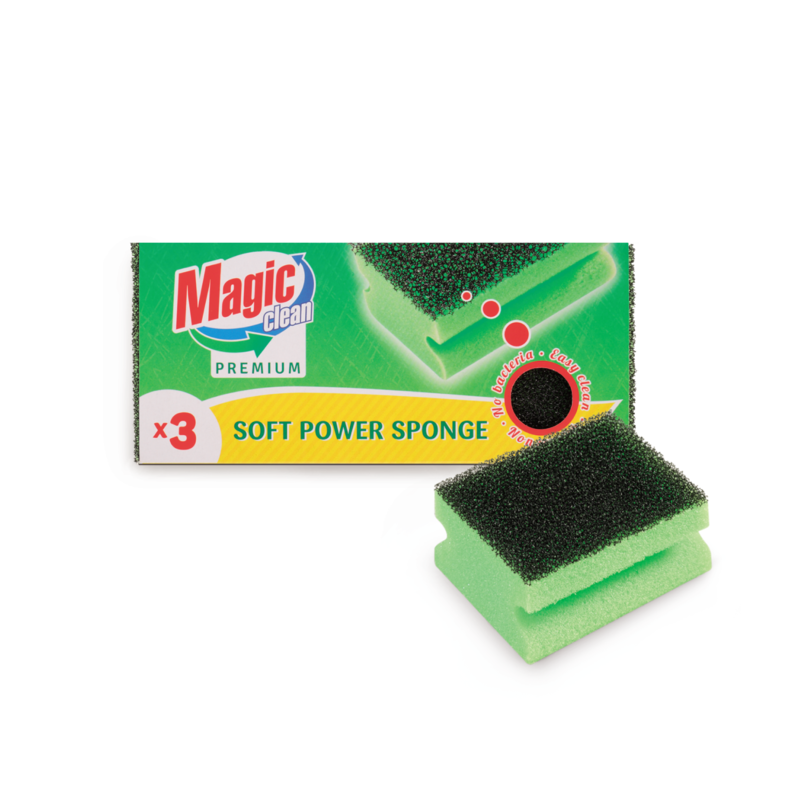 PREMIUM Kitchen sponge with grip from a material with high density, which ensures maximum foaming of the preparation. Delicate soft part for washing, coated with high quality abrasive for removal of dirt. Suitable for everyday cleaning of household utensils and surfaces insensitive to scratches. Ergonomic grip for comfortable handling. Extremely durable.